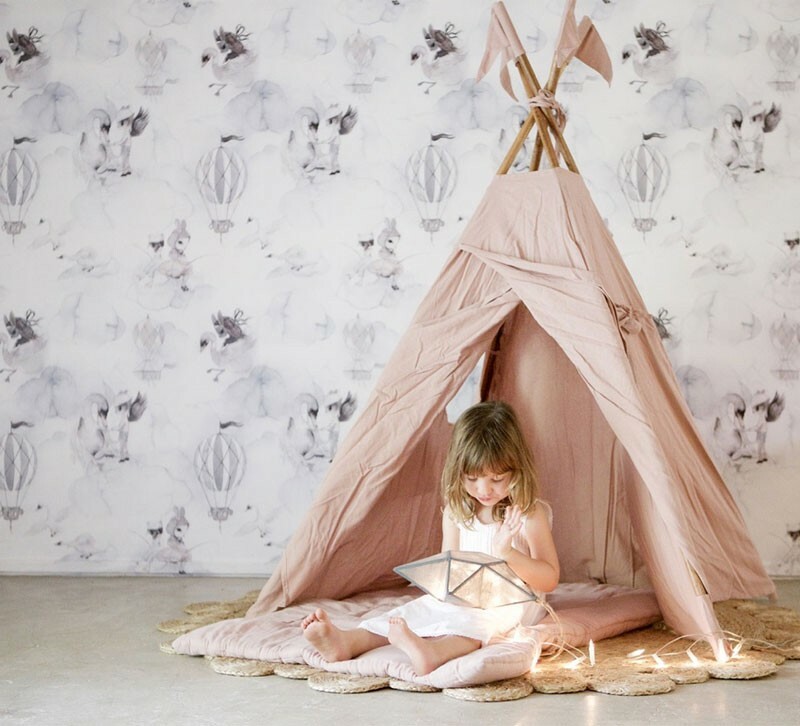 There seriously has never been a better time to design and decorate a child’s space with amazing wallpapers that subtly tell a story or paint a picture to elicit the essence of childhood (without spelling it out in the primary or pastel colours of old). Jimmy Cricket is renowned for their fun and adventurous wallpaper creations and collaborations with amazing artists from around the world. Printed right here in Australia, we have fallen in love with their delightful designs over the years. Their latest range is full of watercolour whimsy that is mysterious and magical. My favourite is the One Fine Day Wallpaper designed by local artist and illustrator, Emma Labattaglia, of Pax and Hart. Watercolour and black ink have been used in an artwork that taps right into the creative imagination of children. Breaking out from her signature monotone style with blues and greens, pinks and yellows, this wallpaper is really something special. Printed on coated, non-woven paper, it is not only high quality but also practical for wiping over to keep clean and lovely. If the wallpaper at the top of the post seems vaguely familiar it is because it stars the mystical, soft grey tones and fantasy characters that we’ve featured before from Mrs Mighetto. The Sweden-based design duo, Anna and Malin, have created a whole new narrative for us to enjoy with this dream worthy, Oh Clouds wallpaper. The current range of Jimmy Cricket wallpaper extends well beyond these two favourites so be sure to browse the full selection. 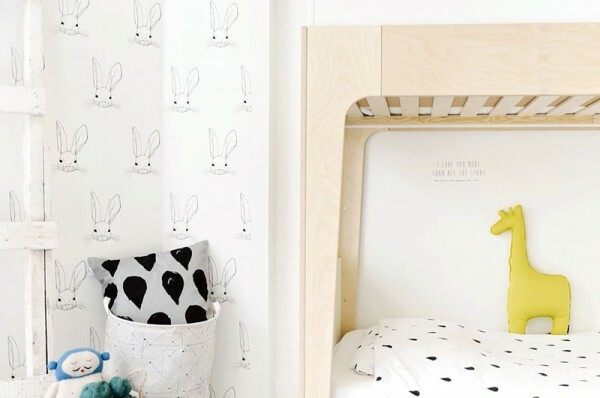 These two featured wallpaper designs come in 10 metre rolls for $280. You can order them directly from the Jimmy Cricket online store where shipping is available locally and internationally.